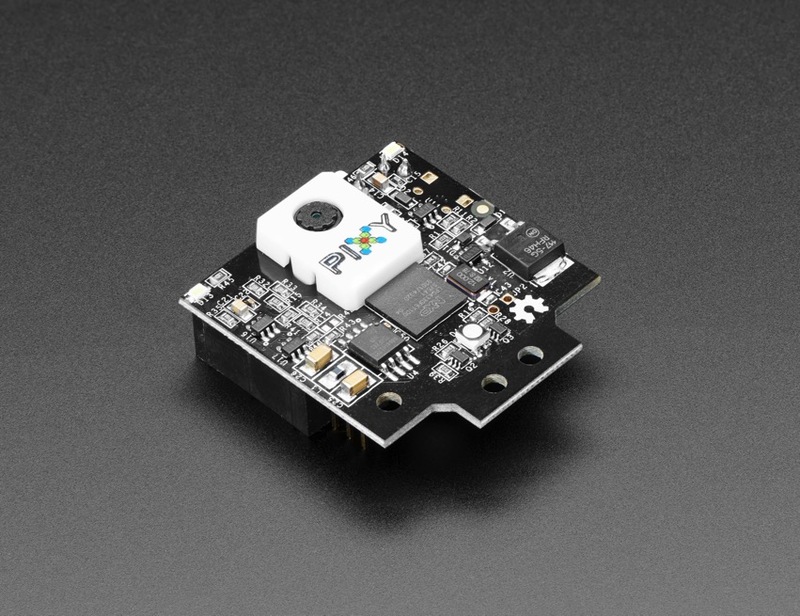 UPDATED PRODUCT – Pixy2 CMUcam5 Sensor « Adafruit Industries – Makers, hackers, artists, designers and engineers! 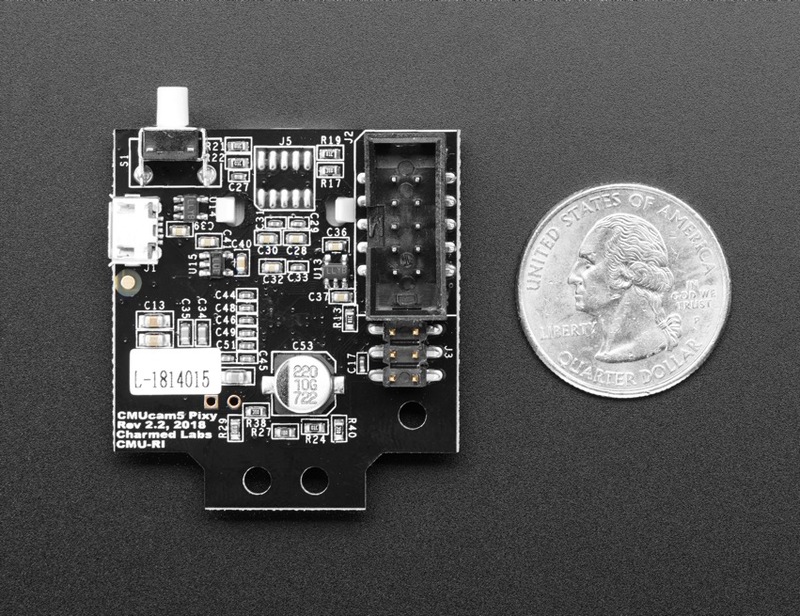 Ever wanted your microcontroller to sense images without eating up all your processor speed? Or wish that you had an image sensor that wasn’t limited to RGB – but could sense hue and saturation as well? Or just want a kickstarted, open source camera sensor with a cool name? Enter the Pixy2 CMUCam5 – an image sensor for your microcontroller that you can teach what to look for. It’s a plug-and-play smart vision system for Arduino-compatibles, Raspberry Pi, or other microcontroller/computer systems. 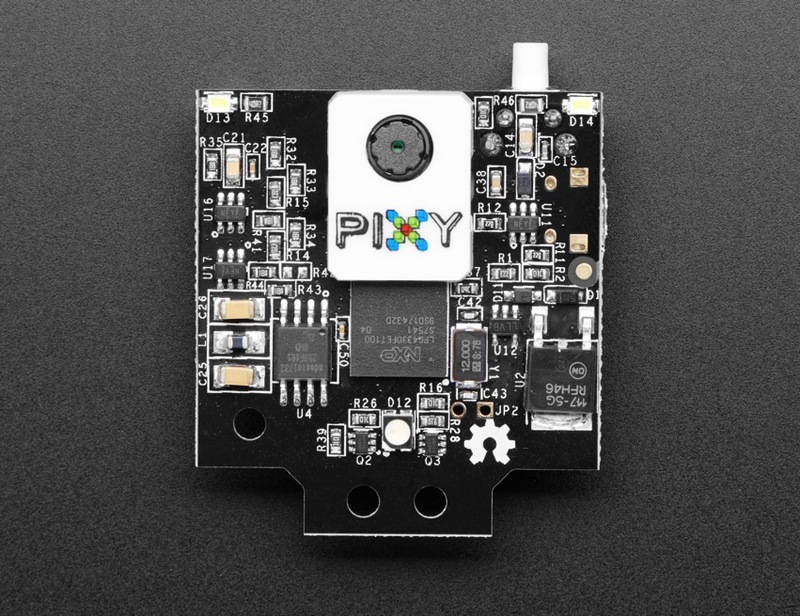 The Pixy2 is an image sensor with a powerful processor that you can program to only send the information you’re looking for so your microcontroller isn’t overwhelmed by data. The Pixy2 also exports its information in a variety of useful ways – UART serial, SPI, I2C, digital out, or analog out – so your microcontroller or microcomputer can communicate easily while still doing other tasks. It’s so unobtrusive that you can even hook up multiple Pixy2’s to one microcontroller! The Pixy2 uses hue and saturation as its primary means of image detection – rather than the normal RGB. This means that lighting or exposure won’t affect the Pixy2’s detection of an item – which is a frustrating problem with many image sensors. It’s also a vast improvement over previous versions of the Pixy CMUCam, adding increased flexibility when it comes to lighting and exposure changes. It can also remember seven different color signatures, find hundreds of objects at the same time, and is super fast – processing at 60 frames a second. Finally, the Pixy2 is also teachable so you can set it up to only send you images that you’ve specifically told it to look for. It’s easy and fast and has an open source application called PixyMon. 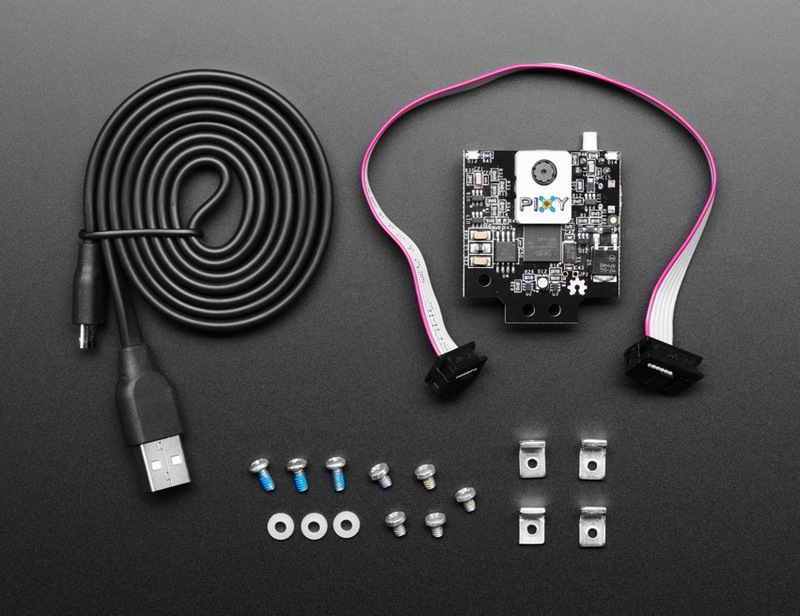 Each Pixy2 Sensor comes with a 6-pin-to-10-pin IDC cable, a USB to Micro USB cable, and mounting tabs and screws. For more information, check out the Pixy2 website!